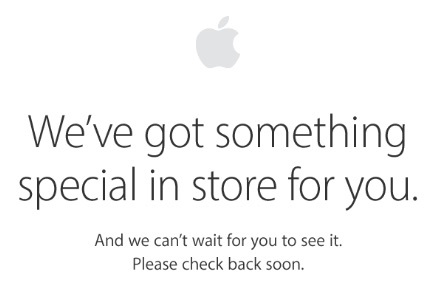 Apple's online storefront has been taken offline this morning, less than six hours prior to the company's upcoming "See You on the 7th" media event at the Bill Graham Civic Auditorium in San Francisco, where Tim Cook and other senior executives are expected to announce the iPhone 7 and iPhone 7 Plus, second-generation Apple Watch, new Beats products, and possibly other updates. Apple will provide a live stream (spoiler free) of the keynote on the Apple TV and on iOS and Mac devices through its website, starting at 10:00 a.m. Pacific Time. MacRumors will also have full coverage of the event, with a live blog on our front page at MacRumors.com and updates in 140 characters or less through our @MacRumorsLive account on Twitter. Last week, we outlined what to expect at the event. We'll also have specific coverage of today's announcements in separate news stories, and our community forums are a great place for readers to discuss the announcements before, during, and after the event. Be sure to keep tabs on the iPhone and Apple Watch sections in particular for the latest discussions. I keep wondering if this is just a marketing trick or is the store technically really that bad that it can't add/update products within seconds. Just imagine Amazon would go down for hours each time they add a new product. Why would they voluntary loose half a day of business? I guess it stops people from ordering an iPhone 6s/plus on the same day and then complaining about it. Just stumbled across this Gif which may be old but I have never seen before. I would love it if they did something like this during their presentation today! New Mac Pro! New Mac Pro! ...are you hearing me Timmy?! I keep wondering if this is just a marketing trick or is the store technically really that bad that it can't add/update products within seconds? Just imagine Amazon would go down for hours each time they add a new product. Why would they voluntary loose half a day of business? It would be cool if they did a "One more thing" announcement at the end like in the old days and surprised everyone with a new Mac Pro or something. Let it be exiting, like MacBook Pro, unlike next iPhone 6. Why is this still considered "News" and why are there always pages of pages of comments on this stupid topic? OMG The Apple Store is down on the day of a big event!!! OMG the world is shattering!